Have you heard this crazy new word that people are throwing around lately? It looks silly (and frankly, sounds even sillier when you say it out loud) but it’s probably my new favorite word, and it’s one I’ve been using a lot lately. I know what you’re thinking – let’s just jump right in and answer the question I know you’re asking. “Hygge” (pronounced “hoo-gah”) is a Danish word that actually has no literal translation in English but can be loosely understood as “cozy”. But, it’s not just cozy – it’s so much more. 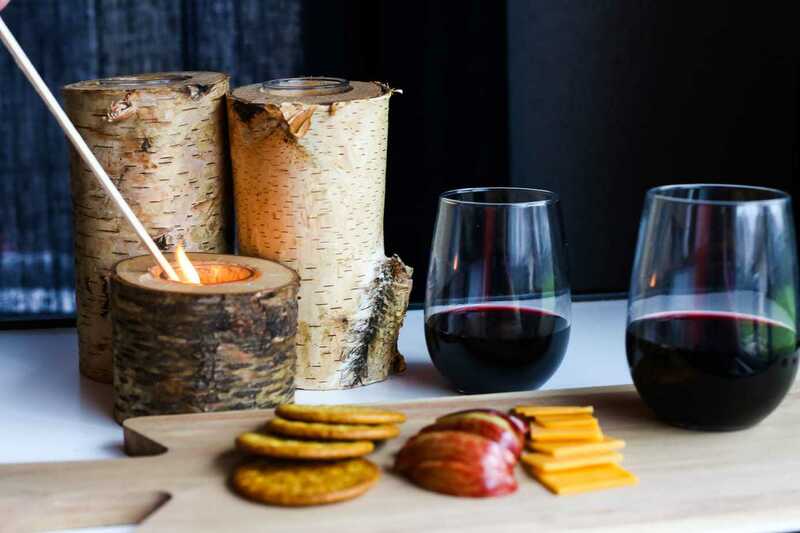 Hygge is the art of building a sanctuary and a haven in your home, connecting and spending time with with your loved ones, slowing down to celebrate the little moments in every day, and creating feelings of warmth and happiness. It’s so much more than just a word. It’s a movement. And in this time of chaos, busy days, political strife, and drama, it’s a movement I can get behind. Anyone who knows me knows that I am someone who fully embraces the idea of being cozy – I love candles, I’d wear a big fluffy sweater every single day if I could, and there are few things in this world that make me happier than curling up on the couch next to a roaring fire and reading a good book or watching a movie with my family. So, I’m sure you can imagine that I latched onto the concept of hygge as soon as I first heard the word. I love the idea of being more intentional about creating space in our days for coziness and connection, especially in these long winter months when it feels like spring will never come. We’re (finally) getting close to the end of winter and spring is getting tantalizingly close, so I plan on fully embracing the hygge movement to help me survive these next few weeks until spring finally arrives. I’ve seen a lot of people questioning this word lately, what it means, and how to achieve it. I feel like this is one concept I’ve got nailed down pretty well (I know how to do cozy, y’all), so I figured I’d share a few of my favorite tips to embracing the hygge movement. Candles, candles, candles. Nothing is cozier than filling a room with candles, no? One problem I notice that a lot of people (myself included) have with candles is that we buy them but we don’t light them. We have all of these candles that smell so fabulous and look so beautiful but we feel like we should “save” them. Save them for what? Every dang day is a day that’s worthy of that amazing candle, so light it up, girl! I’ve been forcing myself to do this more often around my house, and it’s amazing what a difference it makes. My home feels happier, cleaner, and cozier the second I light a few candles. It’s like a magic trick. Do it! Lately, I’ve been loving this candle (it seriously makes my WHOLE HOUSE smell amazing), and I’m also a big fan of this one and this one. Or, you could always make your own candles! You can’t have too many blankets. I am a throw blanket fiend. I swear at any given moment we have at least 2 or 3 throw blankets in every room of the house, and half of them are faux furry. If we’re laying on the couch, it isn’t unusual for me, Corey, and Hadley (our Doberman) to each have our own blanket while we’re cuddling on the couch. There aren’t many things in this world that I love more than a good throw blanket, and I am constantly adding to my collection. I highly recommend this pretty one, this soft one, and this super practical one (also, I’m currently dreaming of buying this ultra cozy one). Embrace the art of the ritual. I’m a big fan of rituals. There’s just something about taking an everyday task and slowing it down, basking in it, and reveling in the routine of it that makes my soul so happy. When it’s cold outside, I love to make myself a mug of hot tea for breakfast, and I’ve even managed to turn my before-bed routine into a ritual that I enjoy just by slowing down and being in the moment while I’m doing it. You can turn basically any daily task into a ritual if you’re intentional about it! If you really want to get the most out of this, try waking up 15-20 minutes earlier than you normally do and spending that time being as cozy and hygge as you can. My current morning ritual is to turn my bedside lamp on, cozy up under my blankets, and have a quiet time with this book. I spend a good 20 minutes or so going through a devotional, reading my Bible, journaling, and praying. The entire house is silent, I’m wrapped up in my favorite blankets, and I’m setting intentions for my day before I even step foot out of my bed. If that isn’t hygge, I don’t know what is. Music is a must. I don’t know about you, but I find that my house feels like an infinitely happier place the minute I turn some music on. 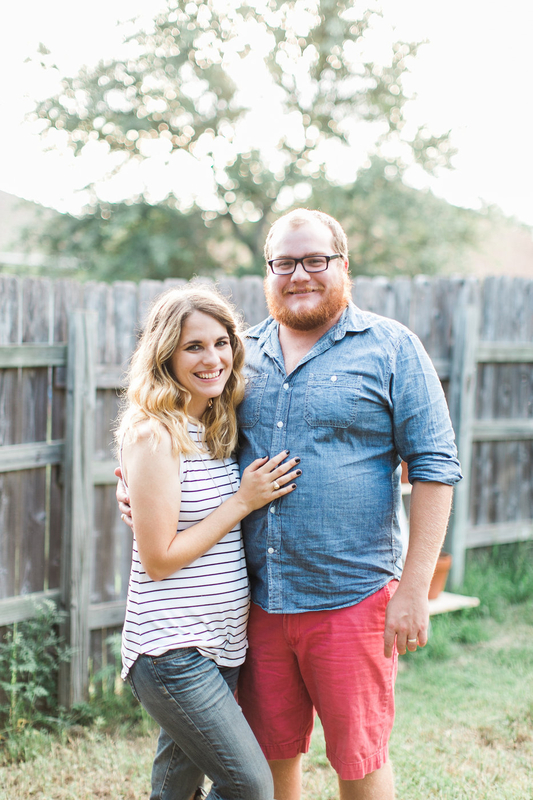 This is something I often forget because my days just get so dang busy (the enemy of hygge! ), but when I remind myself to slow down and enjoy the process of my day a little more, I always turn music on. We always have our Google Home sitting on the counter in our kitchen, and we’re constantly asking for music. When I really want to feel the hygge vibes, I listen to the Nickel Creek Pandora station (my favorite! ), but I also love to pump some more exciting tunes when I feel like dancing (which is often). Even the routines you hate the most like unloading the dishwasher and cleaning up from dinner become instantly more enjoyable when you add some good music. Trust. It works. 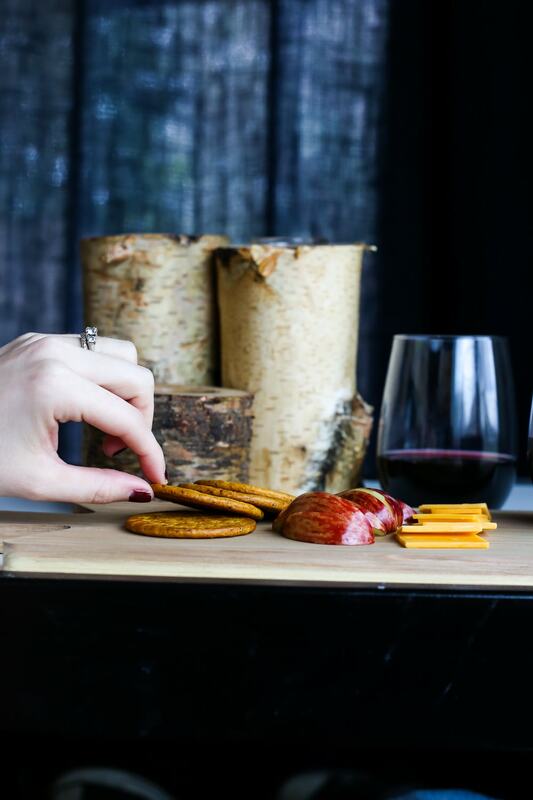 Put your phone down – hygge is all about connection. This is a big one, y’all, and it’s one I’ve been actively working on for a long time now. I know how we all feel about our phones. They’re our BFFs, our lifeline, our addiction, an extension of our arms. I get it. BUT. They’re interfering with our ability to make real connections with the real people in our lives. If you really want to embrace the concept of hygge in your life, you need to put the dang phone down and look directly into someone’s eyes. Hygge is a word that’s most often used when you’re with other people, which means you’ve gotta make some connections for it to truly be hygge. One thing I’ve worked hard on in my house is to “lose” my phone when I get home. I try to set it on the table by the door when I walk in the house, and I leave it there unless I absolutely need it. There are times (especially lately) where I forget to do this, and I always find myself drawn to mindlessly scrolling through Facebook when I do. But, I feel so much more peaceful, happy, and connected to the people in my life on the days where I just set it down and walk away. It takes practice, but it’s worth it. I highly recommend this book if you want to get serious about stepping away from the distractions. Bring the outdoors in. Danes love to bring natural elements into their homes, and if you want to make your home a little more hygge, this is a great way! Go on a walk and pick up a few pinecones, snip some branches off the tree in your backyard, or pick up a bouquet of fresh flowers at the grocery store. Greenery has this way of breathing a new life into your space, and it makes your entire home feel a little bit homier. This is something I really want to work on this year, and I’m on a mission to bring some more plants into my home! Lamps are your friend. Nothing says cozy like some dim mood lighting, am I right?! Turn off those harsh overhead lights and fill your home with light from lamps. This is something I’ve done in classrooms I’ve taught in before, and it’s amazing the effect it has on students – you can visibly see them get calmer when they come into the lamp-lit room, and I had a ton of students at the high school where I taught tell me they loved to come into my room when they were feeling anxious or stressed because the atmosphere was just so calming. As much as I’ve embraced the concept in my professional life, it’s not something I’m great at doing at home! I’ve been doing some virtual lamp shopping lately to gather ideas for how to bring more mood lighting into my home – I’m swooning over this one, this one, and this one. It’s all about the texture. Hygge is a feeling, and that feeling can be a lot more powerful when you amp up the cozy factor of the things in your home. Spend a little extra on the throw blanket or sweater that’s so soft it makes you swoon (I wear this one more often than I should admit). Pick up a few sheepskin rugs and toss them down on the ground so it’s the first thing your feet feel when you wake up in the morning. Fill your sofa with velvety pillows that make you smile. It’s amazing what a little texture can do when it comes to making a room feel cozy, and if you’re intentional about it you can make a huge difference in making your home feel more hygge! Treat yo’ self. 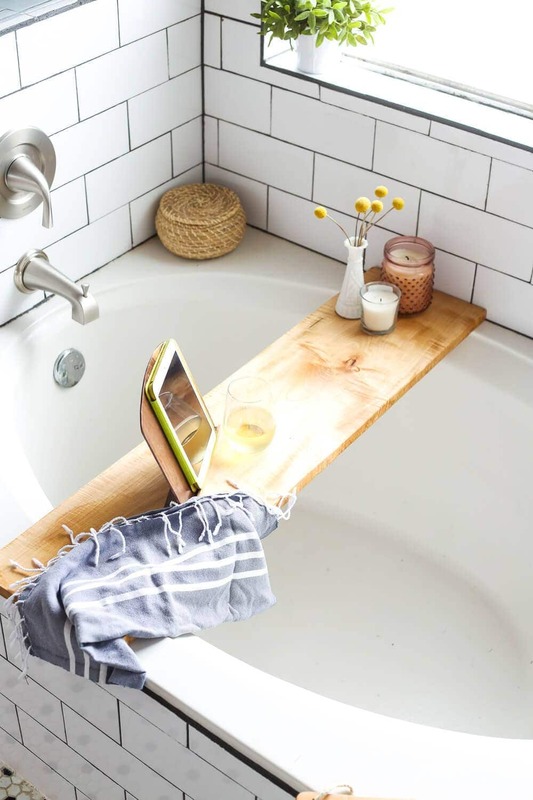 Sometimes when I come home at the end of a long day I want nothing more than to take a long bath and put on my pajamas, even though it’s only 4:30 in the afternoon. I usually talk myself out of it because it seems so indulgent….but, why? When you want to create a little hygge in your life, put on your comfiest pajamas as soon as you walk in the door. Wear your slippers constantly (these are always and forever my favorite and I wear them almost daily). Buy that piece of candy you’re craving and instead of guiltily shoving it in your mouth before you even make it back to the car, bring it home, cuddle up with a blanket, some candles, and your favorite magazine, and savor that dang chocolate. Not only will it make you feel incredibly hygge, you’re a lot more likely to actually satisfy that sweet tooth if you really take the time to enjoy your indulgences. Alternatively, you could treat someone special in your life to really amp up the hygge factor. Surprise your husband with fresh baked cookies when he gets home from work and eat them together in front of the fire. Make hot chocolate with your toddler and go on a long walk while you drink it together. Take a cute mug and some tea over to a neighbor just because. Feeling hygge is about feeling happy, cozy, and content, and sometimes you need a little treat to make that happen! Spend some time in the kitchen. One of the most hygge feelings in the entire world to me is an early Saturday morning with music playing, I’m still in my pajamas, and I come downstairs before Corey even gets out of bed to make a special breakfast. Maybe it’s pancakes, maybe it’s eggs and bacon. Just the feeling of doing something sweet and unexpected for my family and then all sitting together and eating a leisurely, indulgent breakfast is an incredibly cozy feeling for me. Plus, knowing that he’s waking up to the scent of a freshly cooked breakfast means I know he’s feeling pretty hygge too. I don’t always love cooking – sometime’s it’s a total chore – but I find that when I really try to take the time to be in the moment and embrace the ritual of making food for my family, I enjoy it a lot more and get all sorts of cozy feelings out of it. If you don’t want to cook a full meal, whip up something sweet and have something delivered for dinner instead. Either way, spending a little time in the kitchen and using your hands to make something is very hygge. Bonus points if you get your spouse or kids in there to help you! 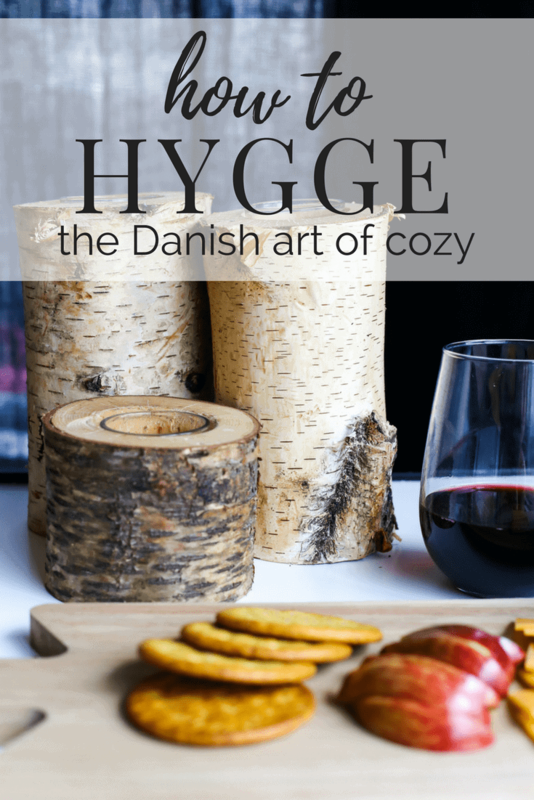 Want Even More Hygge Content? You can find all of the items I recommended throughout the post below! If you need even more hygge inspiration, I created an entire Pinterest board devoted to the concept, and I’ve been pinning to it like crazy lately! I also really loved the Simple Show podcast episode all about hygge (it’s episode 57)! How do you hygge? Hygge – you just described my style of home and attitude and I didn’t know it had a name😀 I agree with everything you said even with “saving the favorite candle” . When people come to my house they say it is cozy, I have a lot of “love” projects I thought of on my own by sitting back and wondering what can I do with this, and boom I utilize it. For example, I loved an old medicine cabinet front with the cute latch which was left in my house, I love the base of old sewing machines and tile. 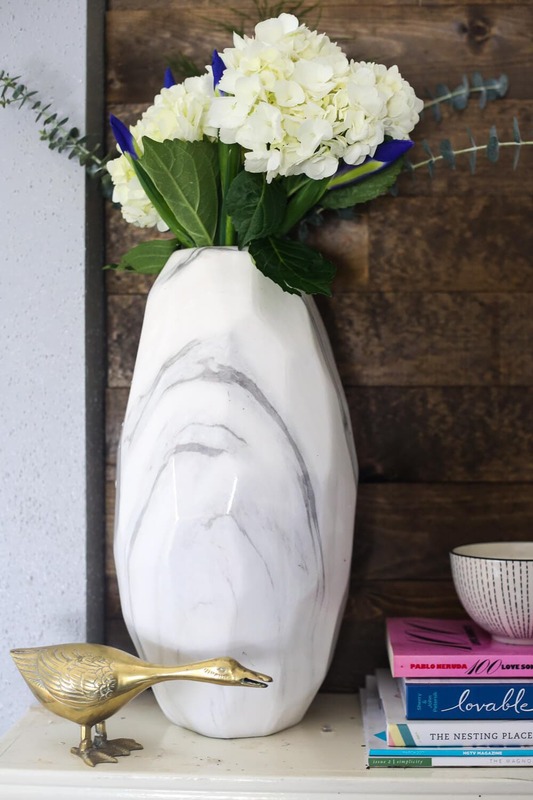 But them all together and I made the cabinet front into a table top,filled with tiles put on a sewing machine base..came out and off course add a vase of everyday flowers and that favorite candle.. The hygge in this is nostalgia,warm colors and useful. Thank you for adding to my life. Keep in touch. Oh wow, sounds like a great project! 🙂 Glad you enjoyed the post, Theresa! Beautiful concept. I like to do a lot of the same things. Cozy is good! I’ve never heard of hygge before, but it might be my new favorite word now! Great post! It’s a wonderful word, isn’t it?! Bring on the cozy!! I am all about this trend. Also – your photos look amazing! I love the warmth and moodiness of the first few. My husband is learning Swedish so we’re all about Nordic culture and ideas right now! Love this idea.